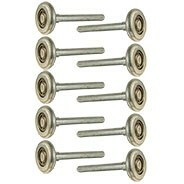 2” HD Nylon 13 Ball Bearing Rollers, 4" stem. 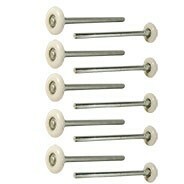 2” HD Nylon 13 Ball Bearing Rollers, 7" Stem. 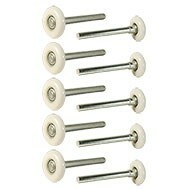 2” Premium Sealed Nylon Precision Bearing Rollers, 7" Stem. 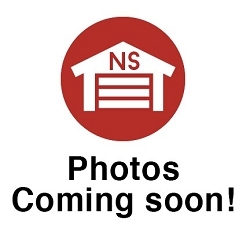 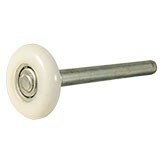 Find the best replacement for your garage door rollers at Garage Door Supply Company. 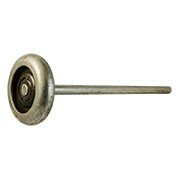 Once you' ve replaced you rollers, keep them operating smoothly with our heavy-duty garage door part lubricants. 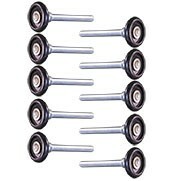 Shop our line of 2-inch and 3-inch rollers with or without bearings and are available in different stem sizes. 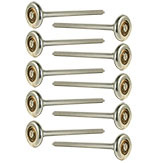 We have 2-inch nylon ball bearing rollers and 2-inch steel ball bearing rollers in 10-pack sets. 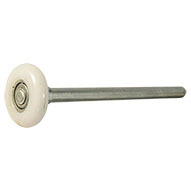 Find bearing-less rollers and nylon precision bearing rollers to replace your worn-out or non-working garage door rollers. 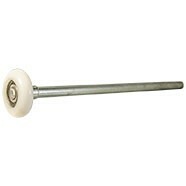 We also carry sealed nylon 7-inch stem rollers with stainless steel shafts. 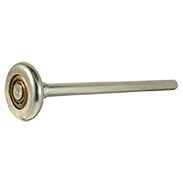 You can measure the roller and the full length of the stem (up to where the roller is located on the stem) to learn the right size for your replacement rollers. Next, decide on the material you want - nylon or steel. 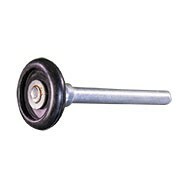 You can replace rollers based on the materials used to make the original manufacturer's rollers that came with your garage door. 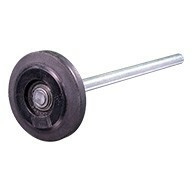 Or, you can upgrade to a heavier weight or material. 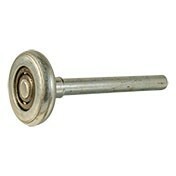 We have a "Contact Us" form at GarageDoorSupplyCo.com that allows you to attach a diagram or picture to help us find the right replacement rollers for your garage door.